A memorable family vacation on the Central Coast begins at the Paso Robles Inn. The Paso Robles Inn offers guests a premier location, just a short drive from exciting attractions across the county. Our convenient Downtown location makes family outings easier than ever, with fun activities just across the street or around the corner from the Paso Robles Inn. Whether you’re seeking an outdoor adventure, or if you're looking for some peace and quiet, our property offers an unparalleled setting to achieve all of your vacation goals. 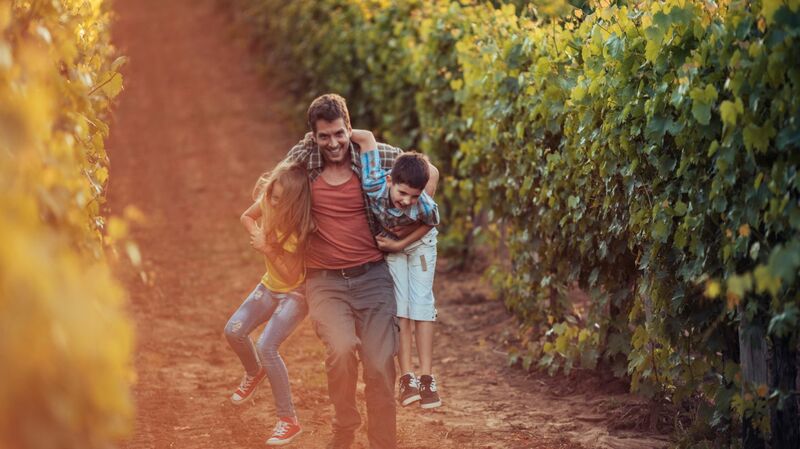 Located in the heart of the charming downtown square, some of Paso Robles' most popular family-friendly activities are just around the corner from your comfortable guestroom. If you're looking for a bigger adventure, enjoy exploring the Central Coast's must-see spots, from Hearst Castle to the Oceano Dunes—there's fun to be had in all directions surrounding the Paso Robles Inn. Many different varieties of creatures and critters call the countryside of Paso Robles their home. Look closely as you drive through wine country and you just might spot deer, snakes, owls, or maybe even a Mountain Lion! The Central Coast as a whole, however, gives your family many opportunities to observe, encounter, and enjoy the area's wildlife. From the Elephant Seals in San Simeon to the Emus at Avila Valley Barn, we invite you to explore some of our favorite animals that are native to the Central Coast. The Central Coast has an array of different cultural and historical sites all located just a short drive from the Paso Robles Inn. In fact, you could walk to the Paso Robles Children's Museum easily! These many museum options provide a fun and educational opportunity to learn something new and discover interesting facts about our local history.